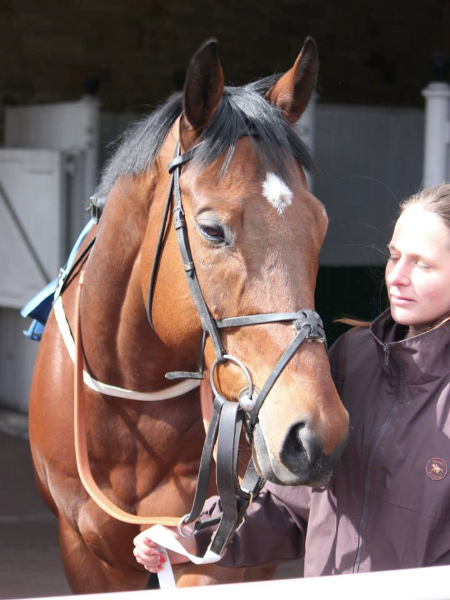 Heavenly River was due to run at Redcar on Monday but due to the drying ground she was declared a non-runner, there will be plenty of other days for her. Abi Scarlet was due to run at Southwell on Tuesday but Scott felt she wasn’t over the hard race she had the previous week so she was also declared a non-runner. 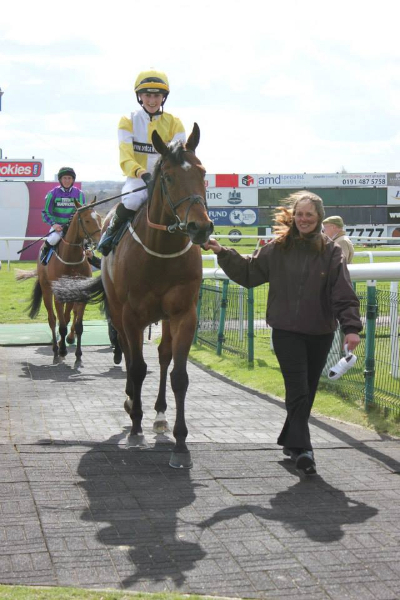 On Wednesday both Sakhee’s Return and Little Lady Katie went to Ripon and both ran in the one mile handicap. Duran Fentiman rode Sakhee’s Return and Jordan Vaughan rode Little Lady Katie, taking five pounds off. 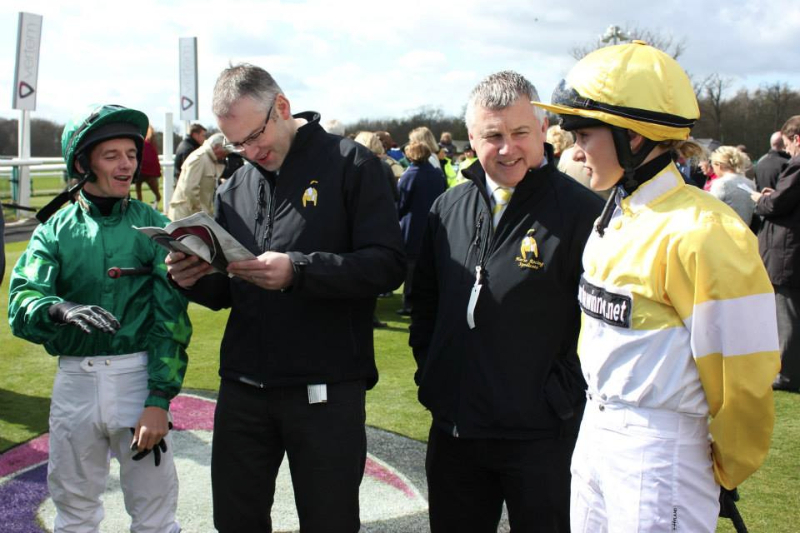 It’s never ideal to have two runners in the same race but both trainers were keen to have a go in this valuable race. 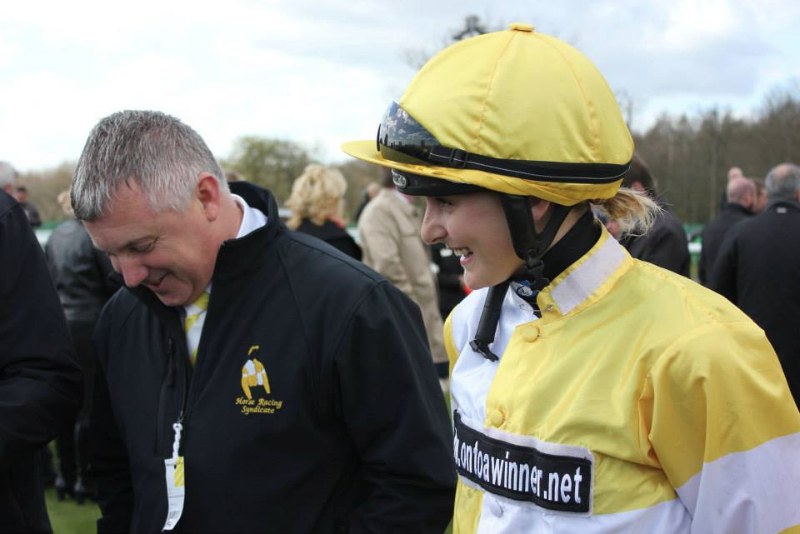 From the off unfortunately Little Lady Katie managed to knock her head as she left the starting stalls but she soon regained her composure and settled in third place against the rail whilst Sakhee’s Return was in the last two runners also against the running rail. As the field turned into the home straight with over half a mile to travel Duran was just getting Sakhee’s Return interested, whilst LLK was still travelling nicely. 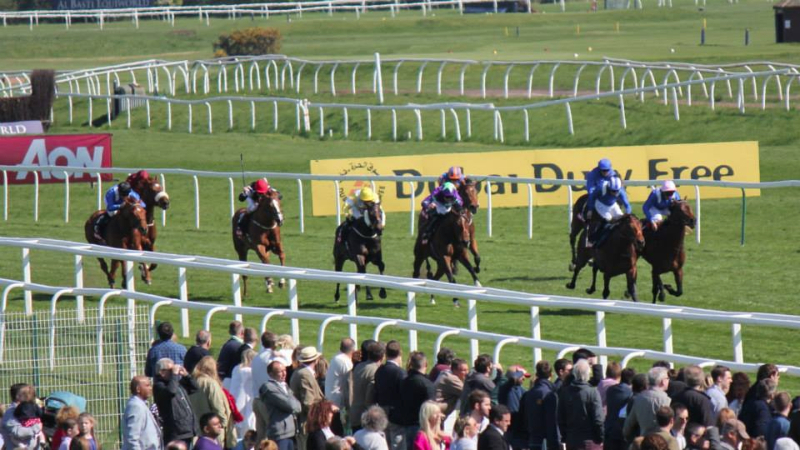 Just over three furlongs from the finish Jordan angled LLK off the rail to the outside of the two horses that had been at the head of the race form the start, Duran kept Sakhee’s next to the rail and they too began to make progress as the pace of the race lifted. Two furlongs from home Jordan gave LLK a crack with the whip for her to move closer and Duran also was at work on Sakhee’s. LLK at this seemed to blow up and couldn’t go through with her effort whilst Sakhee’s was the opposite and he continued to make progress on the leaders. Inside the final furlong Sakhee’s couldn’t get any closer and at the line finished a very respectably third place beaten just over two lengths by the two horses that had led from start to finish, whilst LLK stayed on at the same pace and finished in sixth place. Unsaddling Jordan stated that LLK just didn’t pick up when asked, whilst Duran was delighted with the run of Sakhee’s , he stated that he hit one of the undulations which set them back a bit as the horse got unbalanced but the horse had ran really well and had just got a little tried at the finish. 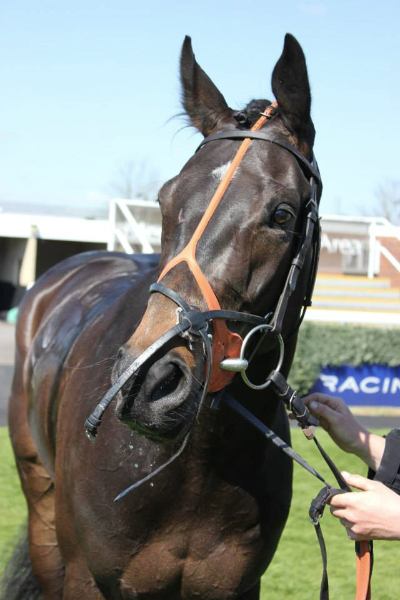 Hail The Brave went to Southwell on Friday night and ran in the two mile four furlong novice’s handicap hurdle with Adam Nicol riding taking three pounds off. 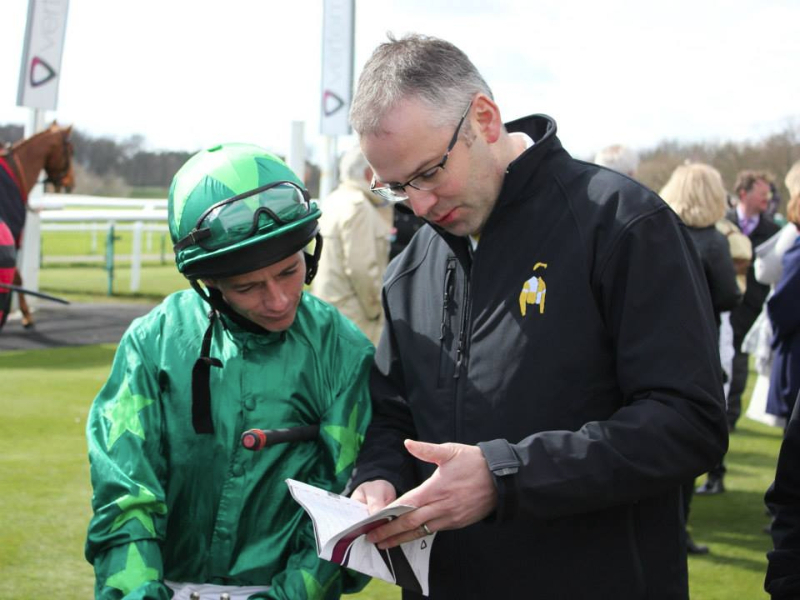 Phil had been worried about the ground at Southwell but they assured him they had watered plenty and although the stable had been quiet with winners, a winner earlier in the week hopefully showed that the yard was coming back into some kind of form. From the off Adam had Hail The Brave at the front of the pack jumping well on most occasions, although on the odd occasion he got in tight to a couple of hurdles but fiddled his way over them without making any semblance of a mistake. Going out with a circuit to go the field were all together and Hail The Brave was still appearing to enjoy himself at the front. As the field made their way down the back straight Hail The Brave was joined by another couple of runners but good jumps at two flights of hurdles saw him back in front and as they jumped the last flight of hurdles on the far side of the course HTB was joined on both sides. Adam gave HTB a crack with his whip to try and push on again but very much like at Wetherby, as soon as he was passed and put under pressure there was no response and he rapidly dropped back through the field and as the rest of the field made their way down the home straight Adam wisely allowed HTB to walk back in with something clearly still amiss with the horse. The horse clearly has ability and there is a possibility he is swallowing his tongue when he comes under pressure. He will be worked in a tongue strap next week to see if this can solve that problem. 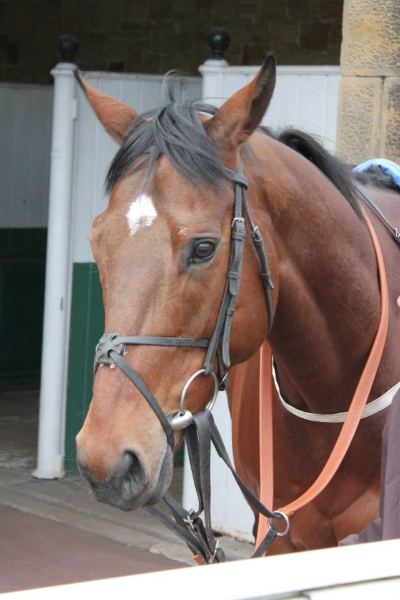 Blue Maisey went to Thirsk on Saturday in the seven furlong handicap and Joe Doyle rode taking five pounds off. Drawn in stall eight the draw was ok and having run so poorly last time out this was a fact finding mission. 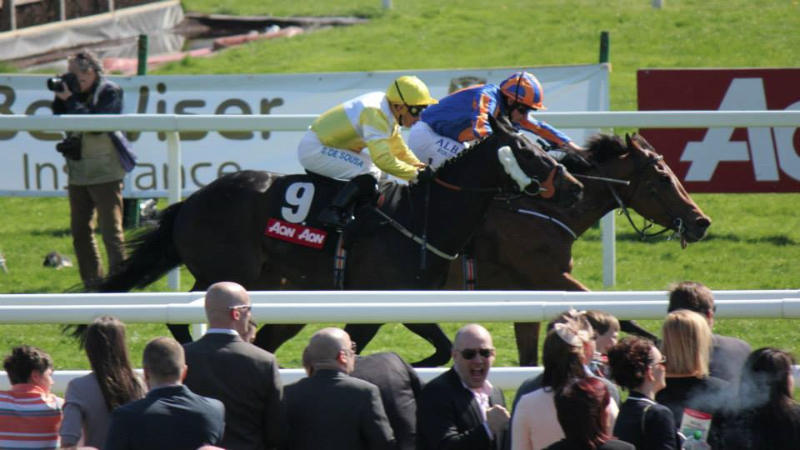 From the stalls opening the pace of the race was frantic and Maisey having been slightly slowly away found herself towards the rear of the field and Joe tucked her in towards the rail. Down the back straight the field were well strung out and as the field hit the sharp turn into the home straight there was a good fifteen lengths first to last and Maisey was still in the rear. As the field straightened for home and charged down the straight Joe was trying to get a clear run for Maisey but was denied several times until near the end of the race she made some modest headway and finished in the rear of the field. Although beaten some way there was some slight promise over a distance that is short of her best with her still being a bit high in the handicap. 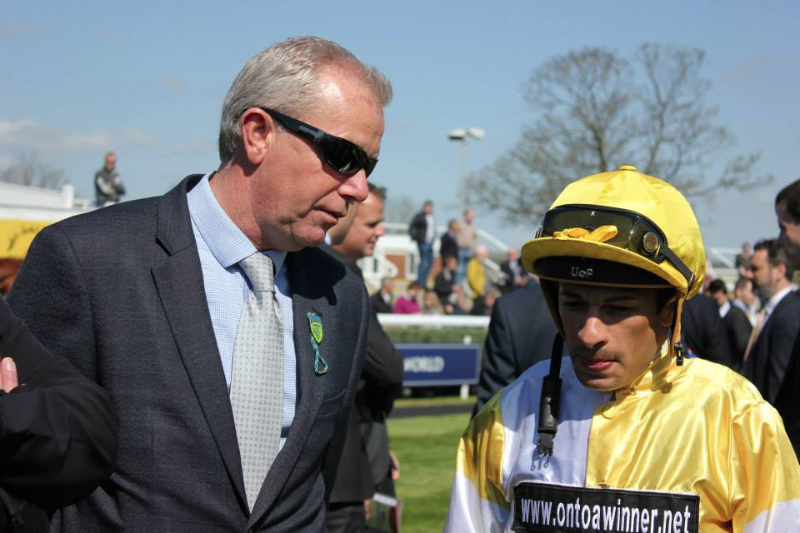 Saturday also saw the return of Toocoolforschool when he went down to Newbury to line up in the Group 3 Greenham Stakes over seven furlongs and Silvestre De Sousa rode. The field was probably the strongest there has ever been for a Greenham which is a Guineas trial and with five out of the top eight in the betting for the race lining up this race could easily have been a Group 1. 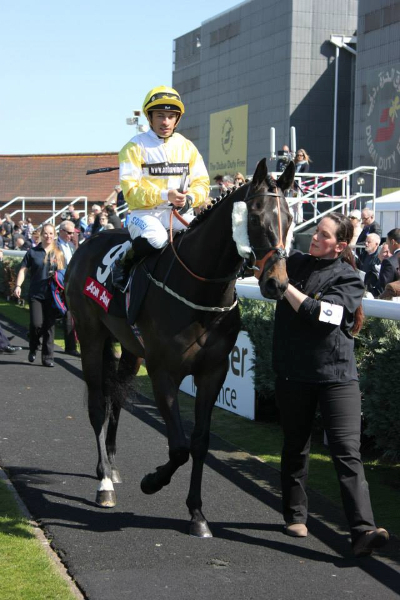 The ground was very quick and as he field broke from the stalls Silvestre allowed TCFS to stride on at the front of affairs with the second favourite for company and as they strode down the straight TCFS was enjoying himself out in front but was being constantly pestered by the other horses. The complexion of the race didn’t change with all jockeys happy with their own positions until the field hit the three furlong from home marker when a few jockeys in behind TCFS began to get to work on their mounts with Silvestre still siting motionless. 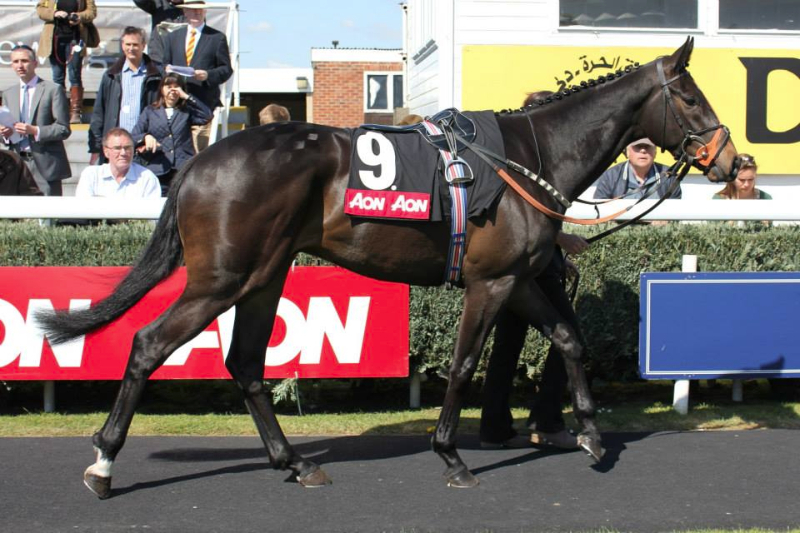 Two furlong from home Silvestre began to get serious with TCFS and he was quickly passed by fast finishing rivals. He kept going to the line but finished 5th in the end. A fantastic run from TCFS who led a very strong field for a long way on ground that was very quick. He will come on for the run. The winner broke the track record. Sunday saw Element Quartet finish the week’s runners when she went to Wincanton to run in the two mile four furlong novice hurdle and Brendan Powell Jnr rode. With only five runners due to run the quickening ground forced two trainers to pull their horses from the race which left EQ facing two rivals, the favourite being a 1-10. 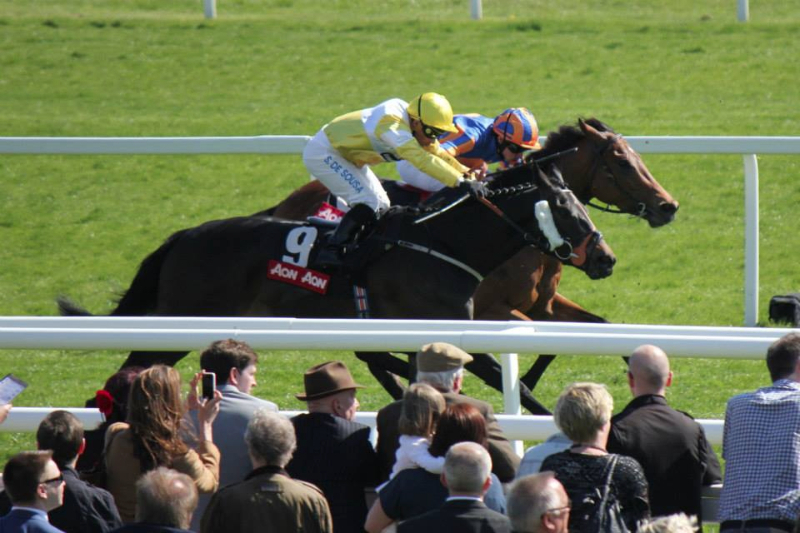 With the favourite wanting to lead but being very reluctant to set off Brendan allowed EQ to set off in second place and after jumping the first hurdle the favourite pulled up sharply and was out of the race. This allowed EQ to stride on in front at a very steady pace with Brendan allowing her to pop over the hurdles in a polished fashion. The only other runner was travelling nicely in behind EQ and as they both cleared the hurdles in good style down the back straight it was always going to develop into a sprint finish up the home straight. As they turned into the home straight the other horse made its move and overtook EQ on the approach to the second last hurdle. Try as she might EQ could not respond and Brendan allowed her to jump the last in her own time and they finished in second place. With a confident round of jumping and some place money as well, it was a good effort. 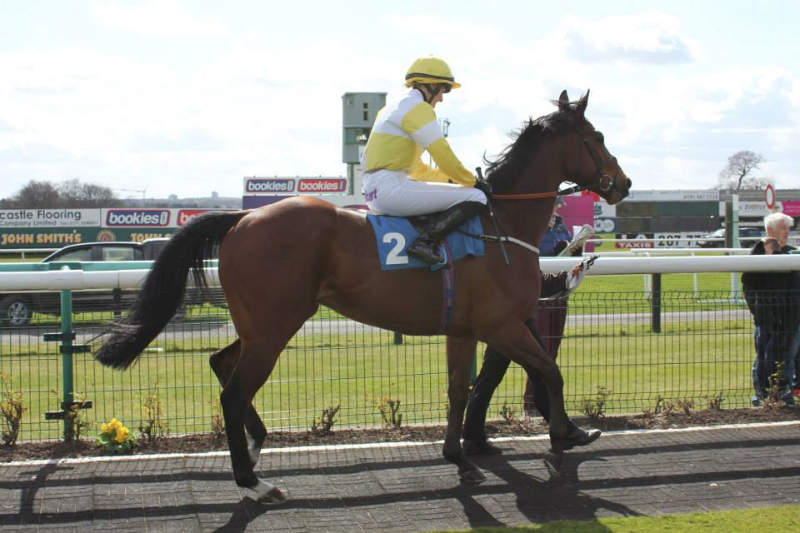 A very busy week began on Bank Holiday Monday when Teds Brother ran at Redcar in the one mile handicap and Jordan Nason rode taking five pounds off. As the stalls opened Teds Brother seemed to try to anticipate the start but the gates remained shut for that spilt second and as they opened Teds Brother jumped into the air and came out of the stalls very awkwardly and Jordan became unbalanced. This allowed the rest of the field to gain a good few lengths advantage and Jordan had to gather Teds Brother together and put his foot back into his stirrup after losing his iron briefly. Teds Brother managed to get onto the heels of the field as they charged down the straight track. They made some headway three furlongs from home but they soon become under pressure and Jordan after giving the horse a couple of smacks with the whip soon accepted that they weren’t going to be involved in the finish. The horse was always going to need the run and he will strip fitter next time out. 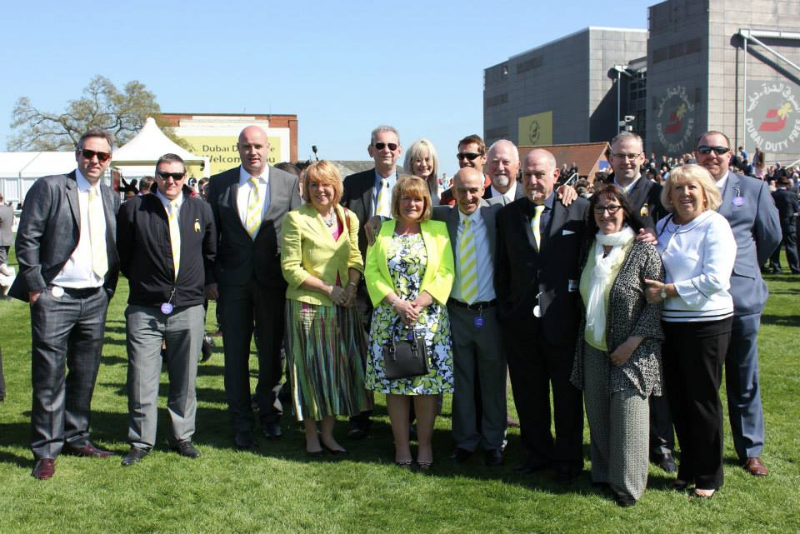 Tuesday saw the third year that Ontoawinner have hired a box at Pontefract for their opening meeting of the season and with plenty of owners in attendance there was a great atmosphere. 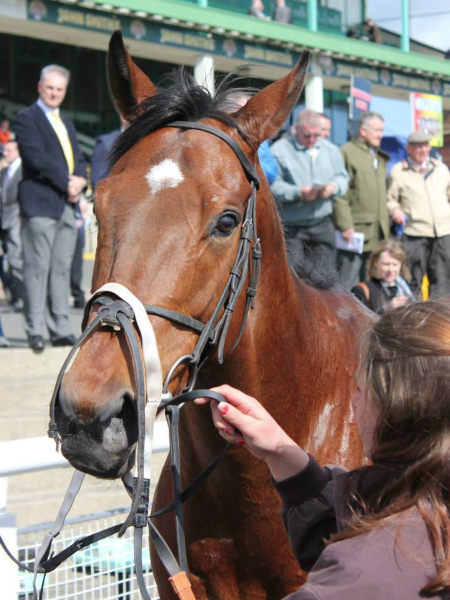 Blue Maisey made her reappearance in the opening race, a mile handicap and Jack Garritty rode taking five pounds off. Drawn out in stall nine Maisey got a nice break but with a strong early pace Jack allowed Maisey to find her stride and they settled into midfield as the field made their way round the turns of Pontefract. During the race Jack had to shake the reins on Maisey to get her interested and still be competitive. Up the home straight Jack stood up in his irons and allowed Maisey to finish towards the rear of the field. 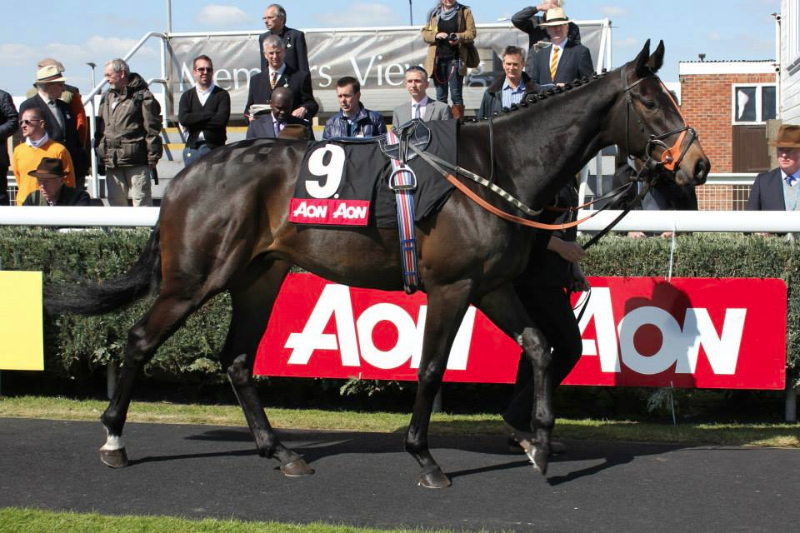 Unsaddling Jack said that the horse was never travelling and although she would come on for the run it was a disappointing effort. Edwin was equally disappointed as Maisey had worked really well in the weeks before the race. In the last race of the day at Pontefract, Fazza took his chance in the one mile two furlong handicap with Paul Mulrennan taking the ride. 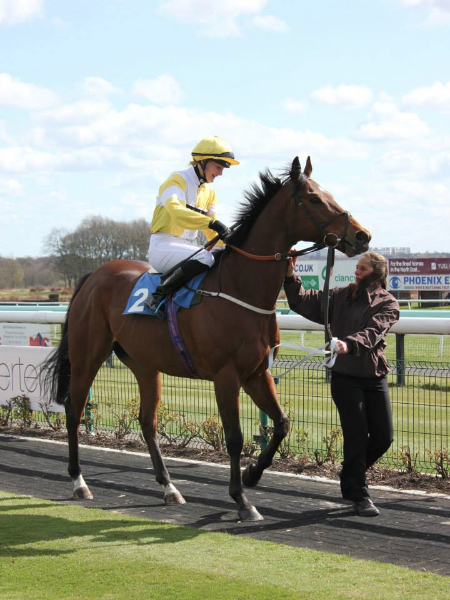 After Maisey’s run everyone was a little apprehensive as Maisey had worked better than Fazza for most of the winter, but Fazza loves Pontefract and had run well first time up last year. Drawn better in stall two Fazza jumped out well and although several horses went towards the front Paul allowed Fazza to stick to the rail in fifth place. The front two horses began to take each other on and the field were well strung out with Fazza positioned nicely. As the field approached the turn for home Paul had Fazza in behind two horses that were under pressure and Paul still had Fazza travelling nicely. As the field turned in the straight Paul allowed Fazza to drift to these horses outside and attacked them. 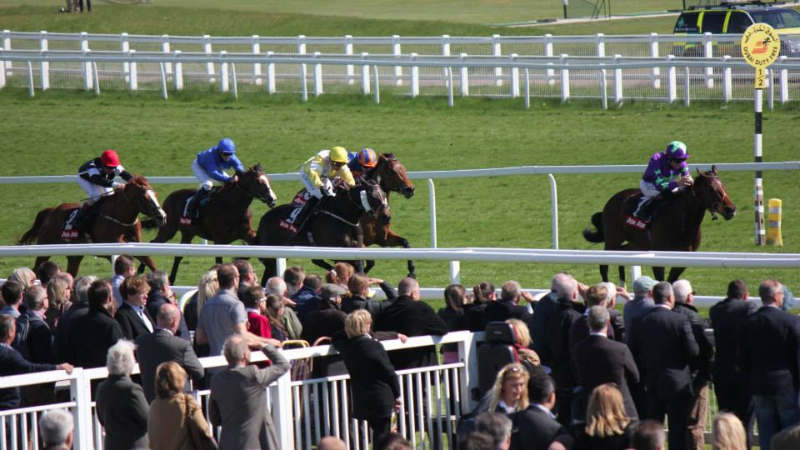 At the furlong from home pole Fazza moved up and took the lead but was challenged by a horse staying on from midfield. Inside the final furlong Fazza and this other horses fought out a driving finish and only in the final 50 yards did the other horse get on top and Fazza had to settle for second place. A great run on his come back and Paul unsaddling said that he thought he would win turning for home but was only just denied and Fazza would definitely win races this year. In the last three years in that particular race we have had the winner in Gold Show three years ago, Gold Show was third last year and now Fazza kept up our excellent record in this race. It was the end to a good day at Pontefract and it was so good to see so many owners in attendance and Fazza’s performance sent everyone home happy. Wednesday saw two horses carrying the Yellow and White colours. 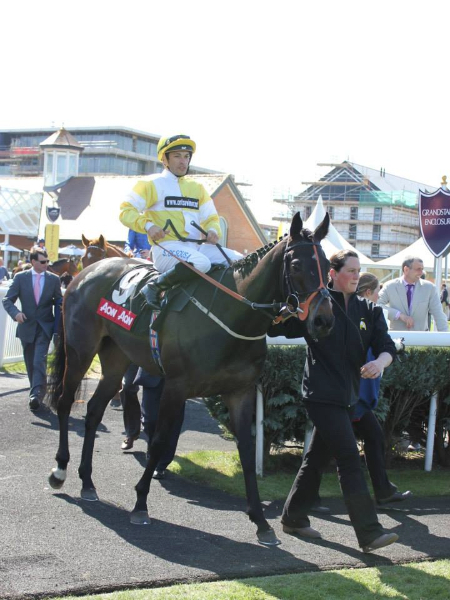 Yourartisonfire kicked off the day’s runners when he went to Nottingham and ran in the one mile and half a furlong handicap and Silvestre De Souza rode. Breaking from the stalls the pace was not overly strong and Silvestre and Yourartisonfire elected to race in fourth place. YAIOF was racing enthusiastically and pulling Silvestre’s arms who kept a tight grip of him and as the field made their way up the home straight Silvestre allowed YAIOF to move up stylishly at around the three furlong from home marker and by the time another furlong had gone YAIOF had pulled Silvestre to the front and into the lead. At this point Silvestre kicked YAIOF in the belly and they went for home and within a few strides they had gone three lengths clear. It was a race winning move and although Silvestre kept YAIOF up to his work inside the final furlong the win was never in doubt and they won by a length and a half with another two lengths back to the third horse. 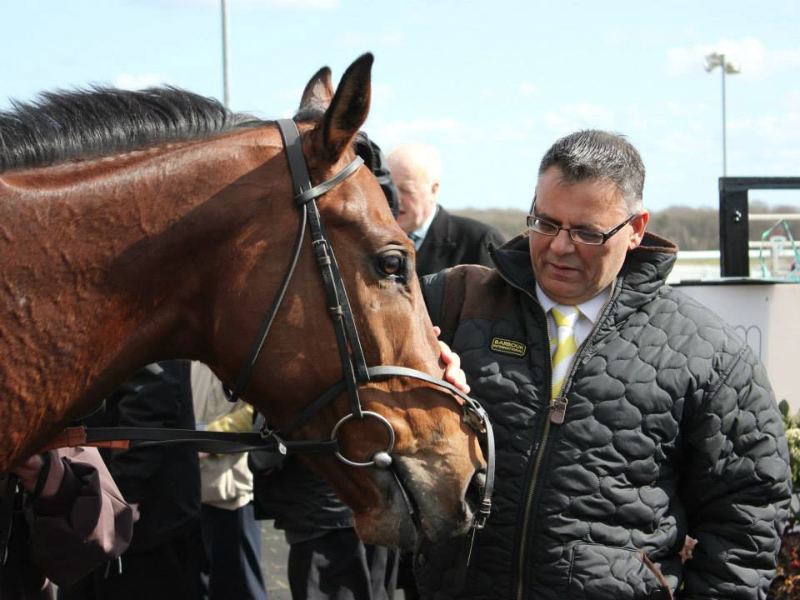 It was a brave decision to allow YAIOF to take his chance in this race as the plan had always been the race at Haydock he won last year but YAIOF’s rude health swayed Karl’s’ decision and it paid off in style. Just ten minutes later Piceno was up at Catterick and there was every chance of another double being landed with conditions in his favour in the race that he had won last year. He was ridden by David Parkes who took off five pounds in the seven furlong handicap. Breaking brilliantly from stall six they were already a length up after 50 yards. David allowed Piceno to bowl along in front and with no pressure being applied Piceno was tanking along the back straight and railed superbly around Catterick’s tight turn into the home straight. At the three furlong from home marker they were still three lengths to the good with many of his rivals under pressure and not making any headway. There appeared to be only one exception, a horse that had made its way up the rails and was beginning to close. Two furlongs from home David began to get serious as Piceno just started to slow and this rival swept past into the lead just inside the final furlong. Piceno tried to rally but the winner had gone beyond recall. Piceno kept going but he was piped on the line by a finishing horse and they had to settle for third place with seven lengths back to the fourth horse. 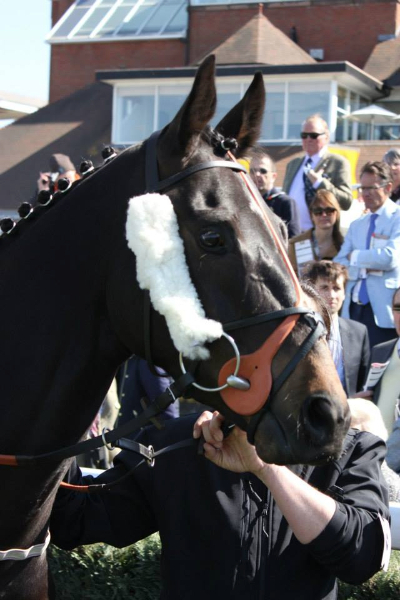 It was a gallant effort from Pi who gave everything but was ultimately beaten by a very well handicapped horse. In that sort of form he will be winning when conditions are in his favour. 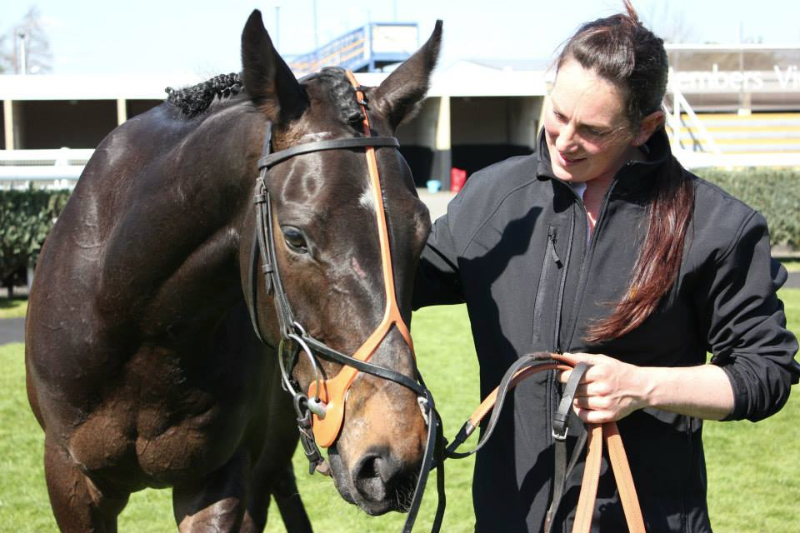 On Thursday Abi Scarlet went to her favourite course Southwell and ran in the six furlong claimer where David Parkes rode taking fie pounds off her back. This was on paper a difficult assignment with the favourite having twenty five pounds in hand on official handicap ratings and the market made that horse four to one on favourite. From the off David got Abi rolling in her first time blinkers and she lead the small field out of the back straight around the turn. As the field hit the home straight Abi was a couple of lengths in front of the rest of the field whilst the favourite came hard up against the stand rail. Inside the final quarter of a mile David got to work on Abi and she was clear of the rest with only now the favourite to beat. 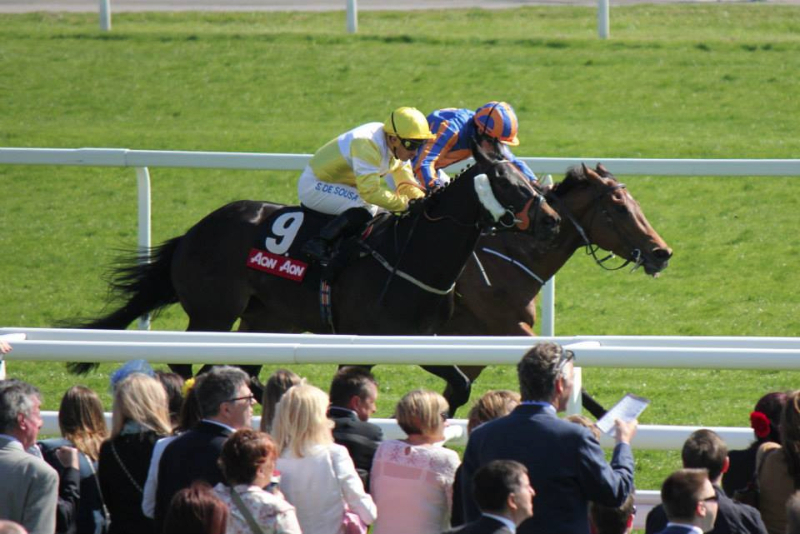 Abi drifted across slightly towards the favourite and as the camera angle changed she was still in front well inside the final furlong although things were getting tight. In the final 20 yards it was neck and neck and only at this point the favourite nosed ahead to claim the win. 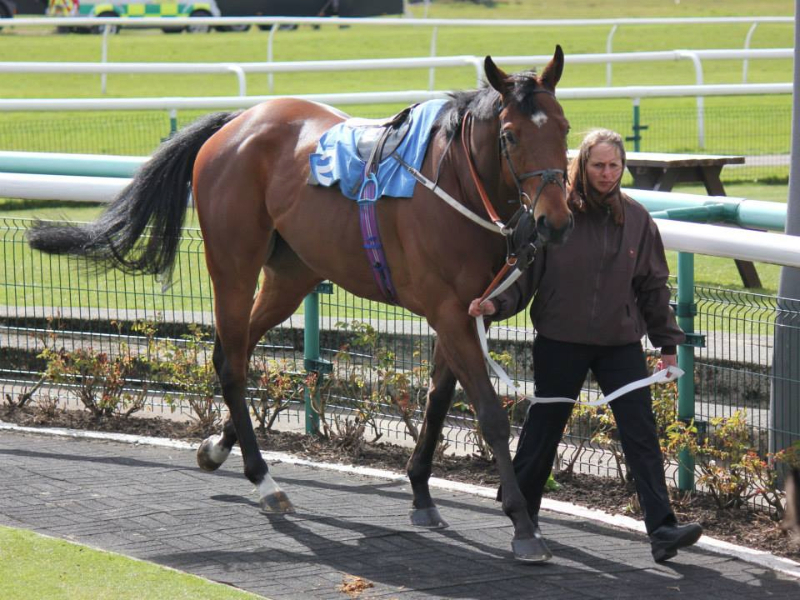 A fantastic effort from our girl who tried her heart out, she was so unlucky not to register another win at Southwell for her owners. The last of the runners for the week was Fast Shot at Newcastle on Saturday in the six furlong handicap and Rachel Richardson rode taking seven pounds off his back. During the day the strong winds and sunshine had dried the ground out and there was very little soft places left. With the runners running straight into a head wind the plan was to find some cover and then let Fast Shot finish the race off coming through horses like he enjoys although it was expected he would need the run. From the off Rachel tucked Fast Shot in behind a wall of horses that led the field and they were positioned in midfield and travelling nicely. A few horses were being blown around and being tucked in, Fast Shot had some good protection from the wind. 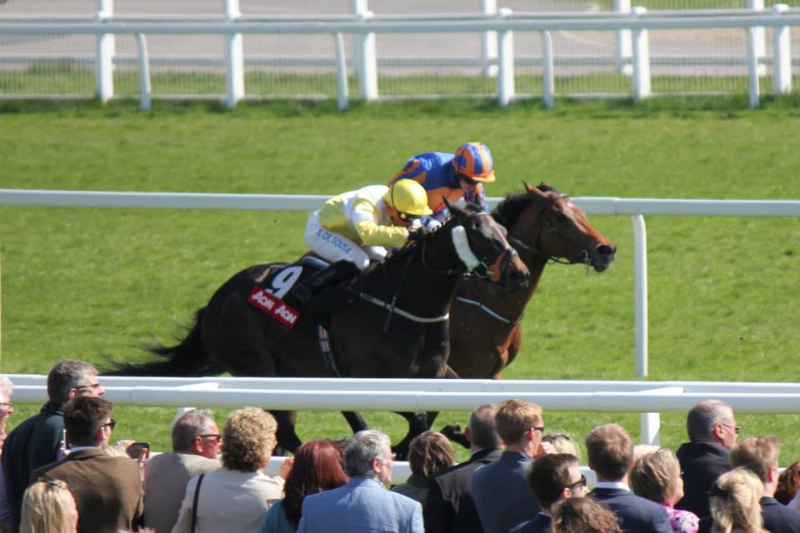 As the field went inside the final two furlongs Rachel and Fast Shot were still traveling strongly whilst many of their rivals began to come under pressure, Rachel and Fast Shot manoeuvred themselves around horses dropping back and inside the final furlong Rachel got to work. Fast Shot was gaining on the leader all the time and a smack with the whip propelled Fats Shot closer to the leader and it was only in the final few strides that his lack of race fitness told and a fast finishing horses overtook them nabbing second place from Fast Shot and Rachel and they had to settle for third place beaten just over half a length. A very good reappearance from a horse who traditionally improves for his first run, on this evidence a win isn’t far away. 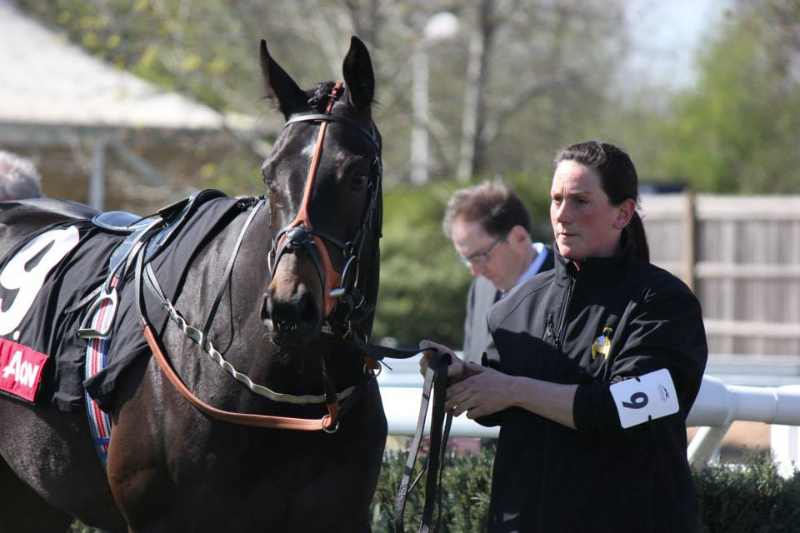 Check out John Palmer’s picture compilation of Toocoolforscool, he will start the season in the Greenham Stakes at Newbury.